Home » Articles about our Treatments » What is impetigo and should I be worried? What is impetigo and should I be worried? Impetigo is actually a skin infection that is caused by bacteria, most commonly on the face and specifically around the nose and mouth. But it can pretty much appear anywhere there is broken skin. So what is impetigo exactly? 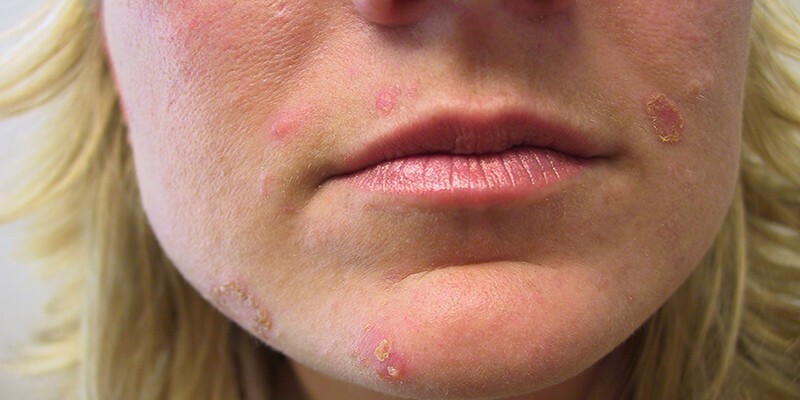 The way you get impetigo is by having a cut, scratch, eczema, or even a bug bite on your skin where the bacteria can find its way inside your skin. Basically any broken skin is an access point for the bacteria. When the bacteria is inside your skin, small blisters will develop on your skin as a result. Once these blisters burst, the fluid that comes out will dry (or crust) and this is impetigo. As you may already know, everyone already has bacteria living on their skin. It’s a way of life. These are harmless bacteria that live in synergy with the rest of our body. But there are two specific types of bacteria that can develop into impetigo: Staphylococcus aureus and group A streptococcus. The symptoms usually start the same for everyone. 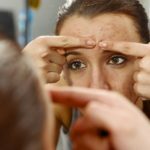 Basically, you develop small blisters on your skin (typically the face). These small blisters end up bursting and the fluid (or puss) that comes out will crust over the lesions. The colour of the crust tends to be a yellow-brown or honey colour which differentiates it from other scabs (since those tend to be more brown in colour). First off, if you think you might have impetigo or other skin problems, it’s important you see your family doctor or dermatologist immediately so they can assess the situation and determine the best course of action. If you do, in fact, have impetigo, your doctor will prescribe an antibiotic ointment that you can apply to the affected area. This will treat the impetigo if it’s still considered a mild case. 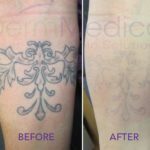 But if it has spread to other places on your skin, your doctor will likely go from topical treatment (something you put on your skin) to an oral treatment (giving you a dose of antibiotic pills). What you should know if you have impetigo. If you have impetigo, it’s important to try to NOT itch or scratch or touch the blisters or sores as this will end up spreading the problem to other parts of your body or face. Be sure to wash your hands regularly if you do have impetigo as that is how the bacteria can spread. Make sure to keep the area clean and dry as well. If you have a lot of crust that develops from the impetigo, you can loosen some of it (without picking at it!) by soaking the area in warm soapy water which will loosen the crust. It won’t get rid of it all, but will take care of some of it for you. You should also know that impetigo, as implied earlier, is contagious. So be sure not to touch the affected area and then touch others (or other parts of your body) as it will spread. You’ll want to stay home for at least a day until you start taking your medication. How can you prevent impetigo? If someone in your family has impetigo, treat it as you would the chicken pox or lice. Make sure you keep all the clothes, sheets, pillows and towels clean and washed in boiling hot water to kill the bacteria. Other helpful tips include showering regularly and cleaning your skin with soap. If you have broken skin, make sure to keep it clean and infection-free. Keep your nails clean and short and wash your hands with soap regularly.